Those who have tried to get pregnant in the past know it’s not half as easy as you imagined and for some it can takes a great deal of time, effort and planning to get your head around what’s going on, which is where the Ovia Fertility app comes in. This iOS and Android app aims to make family planning easier and a lot quicker – because the last thing you need when you’re trying to conceive is a load of stress! The app encourages you to track and input a range of data, from when your cycle is starting to how much exercise you get each day. 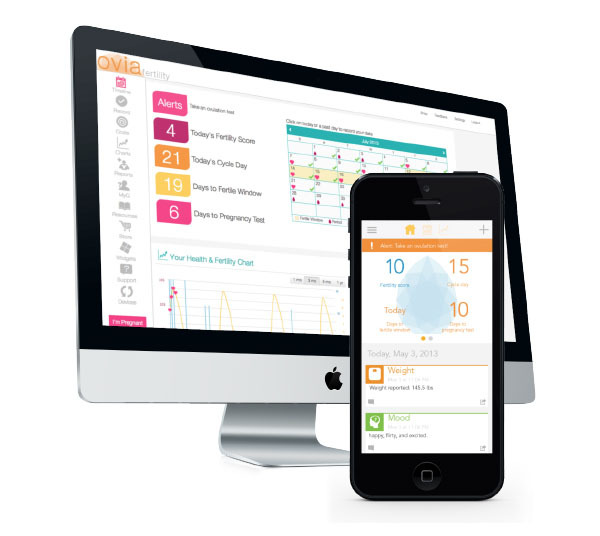 Through Ovia’s algorithm it’ll then serve up a simple dashboard that presents information about your health and lifestyle – identifying points where there could be issues and where improvements should be made – as well as making those all important predictions about when you should conceive. The app syncs up to a range of fitness tracking devices and services – like Fitbit’s Flex and the Withings scale – enabling you to build up an even more accurate picture about how your body is functioning. For those having some problems conceiving, the app can serve up personalised recommendations, create reports for your doctor and enable you to share everything with your partner every step of the way too. The app is free and available from the iTunes app store and Google Play.